Bioethanol is one of the most potential liquid fuels since the natural resources from fossil fuels become limited. Nowadays renewable energy become as an alternative energy to reduce fossil fuels consumption. Therefore, the study of water hyacinth and water lettuce was chosen as potential source of biofuel due to its abundant and easy to cultivate in nature. The study aims to investigate the potential of floating aquatic macrophytes to provide enough supply for bioethanol production. Study on feasibility of biological pretreatment on water hyacinth and water lettuce using white rot fungi by monitoring lignin and hemicellulose biodegradation. The potential of bioethanol production was determined by sugar consumption rate and percentage of fermentable sugar by Saccharomyces cerevisiae yeast. The experiment was fabricated with two tanks contain macrophytes which Eichhornia crassipes and Pistia stratiotes. Weight of both species was recorded for consecutive three days to monitor the optimum growth rate. Both species were pretreated with white rot fungi. The parameters involved are sugar content, lignin by Klasson method and hemicellulose by Chesson method. Water hyacinth was fermented with different yeast concentration and DNS method was used for sugar determination. The results showed that P. stratiotes has higher growth rate than E. crassipes. However, E. crassipes more feasible for lignin and hemicellulose biodegradation compared to P. stratiotes. Sugar consumption rate was influenced by yeast concentration and fermentable sugar of water hyacinth filtrate which recorded up to 70%. Keywords: water hyacinth, growth rate, lignin, hemicellulose, biodegradation, white rot fungi, fermentation. Edward Hingha Foday-Junior, Mohd Fadhil Md Din Abdul Karim Koroma (2019) Bioethanol from water hyacinth by white rot fungi in biodegradation, Int. J. of. Life Sciences, Volume 7(1): 21-32. Brigham JS, Adney WS, & Himmel ME (1996) Hemicellulases: Diversity and Applications. In C. E. Wyman, Handbooks on Bioethanol (pp. 119-135). United Stated: Taylor & Francis. Bugg T, Ahmad M, Hardiman E & Rahmanpour R (2011) Pathways for degradation of lignin in bacteria and fungi. Natural Product Report. Chandel AK, Chan E, Rudravaram R, Narasu ML, Rao L & Ravindra P (2007) Economics and Environmental impact of bioethanol production technologies: an appraisal. Biotechnology and Molecular Biology, 14-32. Chaturvedi V & Verma P (2013) An overview of key pretreatment processes employed for bioconversion of lignocellulosic biomass into biofuels and value added products. 3Biotech, 415-431. Chesson A (1978) The Maceration of Linen Flax under Anaerobic Conditions. Journal of Applied Bacteriology, 219-230. Dhepe PL & Sahu R (2010, 12) A solid-acid-based process for the conversion of hemicellulose. Green Chemistry, pp. 2153-2156. Hammel & Kenneth E (2008) Mechanisms for Polycyclic Aromatic Hydrocarbon Degradation by Ligninolytic Fungi. Environmental Health Perspectives. Hsu TA (1996) Pretreatment of Biomass. In C. E. Wyman, Handbook of Bioethanol (pp. 179-212). United Stated: Taylor & Francis. Jacques N, Hardy L, Knox K & Wicken A (1980) Effect of Tween 80 on the morphology and physiology of Lactobacillus salivarius strain IV CL-37 grown in a chemostat under glucose limitation. J Gen Microbiol., 195-201. 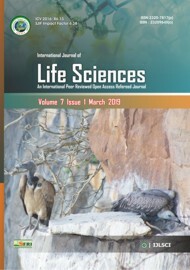 Kamra D, Kewalramani N, Lall D & Pathak N (1993) Biolignification and Changes in in vitro Digestibility of sugarcane bagasse treated with white rot fungi. Journal of Applied Animal Research, 133-140. Khuong L, Kondo R, De Leon R, Anh T, Meguro S, Shimizu K, et al. (2014) Effect of chemical factors on integrated fungal fermentation of sugarcane bagasse for ethanol production by a white-rot fungus, Phlebia sp. MG-60. Bioresource Technology, 33-40. Martinez D, Larrondo L, Putnam N, Gelpke M, Huang K, Chapman J et al. (2004) Genome sequence of the lignocellulose degrading fungus Phanerochaete chrysosporium strain RP78. Nat Biotechnol, 695-700. Miller GL (1959). Use of Dinitrosalicylic Acid Reagent for Determination of Reducing Sugar. Analytical Chemistry, 426-428. Mino AK (2010) Ethanol production from sugarcane in India: Viability, Constraints and Implication. Urbana, Illinois: University of Illinois. Minteer SD (2006) Alcholic Fuels. In S. D. Minteer, Alcoholic Fuels (pp. 1-4). Missouri: Taylor & Francis. Nigam J (2002) Bioconversion of water hyacinth hemicellulose acid hydrolysate to motor fuel ethanol by xylose-fermenting yeast. Journal Biotechnology, 107-116. Paulino T, Cardoso Jr, M, Bruschi-Thedei G, Ciancaglini P & Thedei Jr G (2003) Fermentable and Non-fermentable Sugars. Biochemistry and Molecular Biology Education, 180-184. Rezania S, Ponraj M, Din MF, Songip AR & Fadzlin Md Sairan SC (2015) The diverse applications of water hyacinth with main focus on sustainable energy and production for new era: An overview. Renewable and Sustainable Energy Reviews, 943-954. Schneider H (1889) Conversion of pentoses to ethanol by yeasts and fungi. CRC Crit Rev Biochem Mol Biol, 1-40. Singh A & Bishnoi N (2013) Comparative study of various pretreatment techniques for ethanol production from water hyacinth. Industrial Crops and Products, 283-289. Sjostrom E (1993) Wood chemistry: fundamentals and applications. London: Academic Press. Wan C & Li Y (2012) Fungal pretreatment of lignocellulosic biomass. Biotechnol Adv, 1147-57. Wohlbach DJ & Alan Kuo TK (2011) Comparative genomics of xylose-fermenting fungi for enhanced biofeul production. PNAS, 13212-13217.